The Jewish community in India was always welcomed with warmth and respect and never faced any persecution. How long have Jewish communities been living in India? The Times of Israel recently published an article highlighting that after ’27 centuries’ Jews from the tribe of Manasseh (Bnei Menashe) are returning to Israel from the Indian state of Mizoram. That puts their ancestors originally arriving here around 700 B.C. Their Telugu-speaking cousins from the Jewish tribe of Ephraim living in Andhra Pradesh (the Bene Ephraim) have a collective memory of being in India more than 1000 years, after wandering through Persia, Afghanistan, Tibet, and then China. 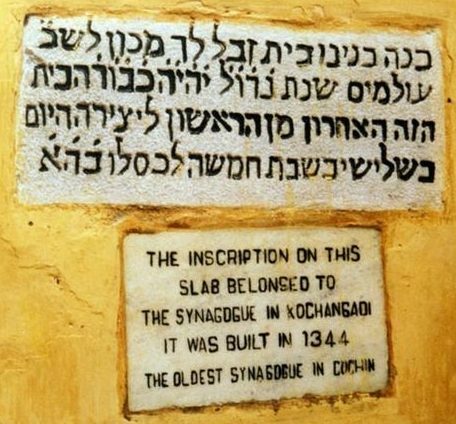 In the state of Kerala, the Cochin Jews have been living there nearly 2600 years. Over the centuries they formed small but distinct communities across India. But now they are leaving India for Israel. 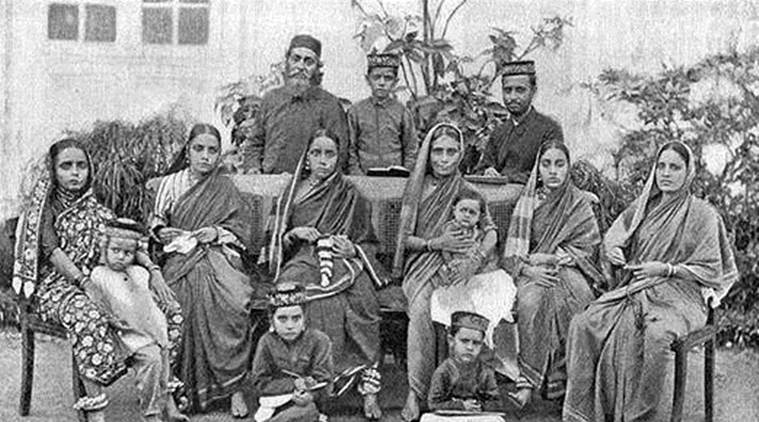 How did Jews come to live in India? Why are they returning after so long back to Israel? We have more facts about their history than that of any other nation. We will use this information to summarize their history in a timeline. The timeline starts with Abraham. He was given a promise of nations coming from him and had encounters with God ending in the symbolic sacrifice of his son Isaac. 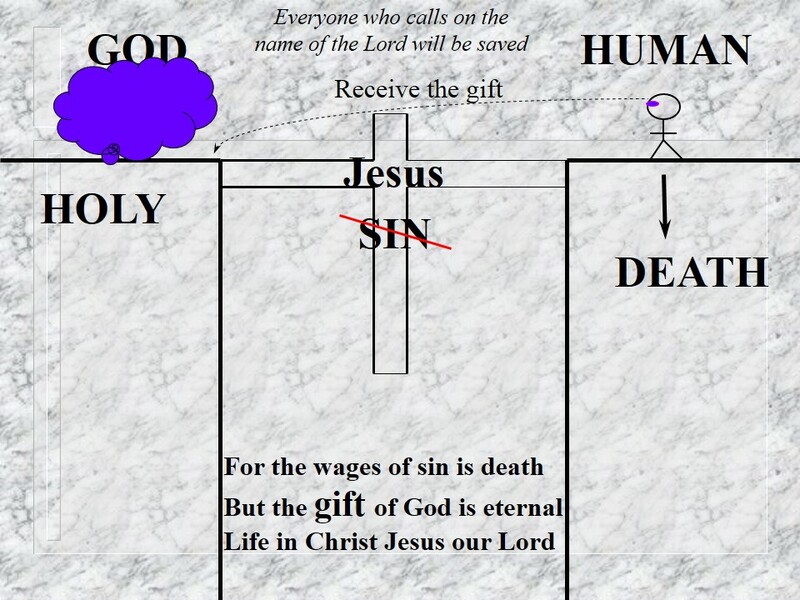 This sacrifice was a sign pointing to Jesus (Yeshu Satsang) by marking the future location where he would be sacrificed. Isaac’s son was named Israel by God. 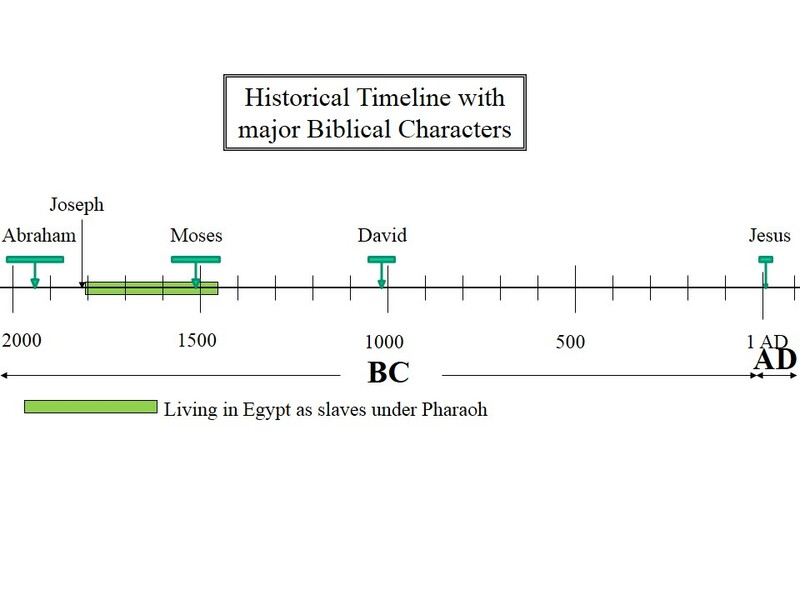 The timeline continues in green when Israel’s descendants were slaves in Egypt. 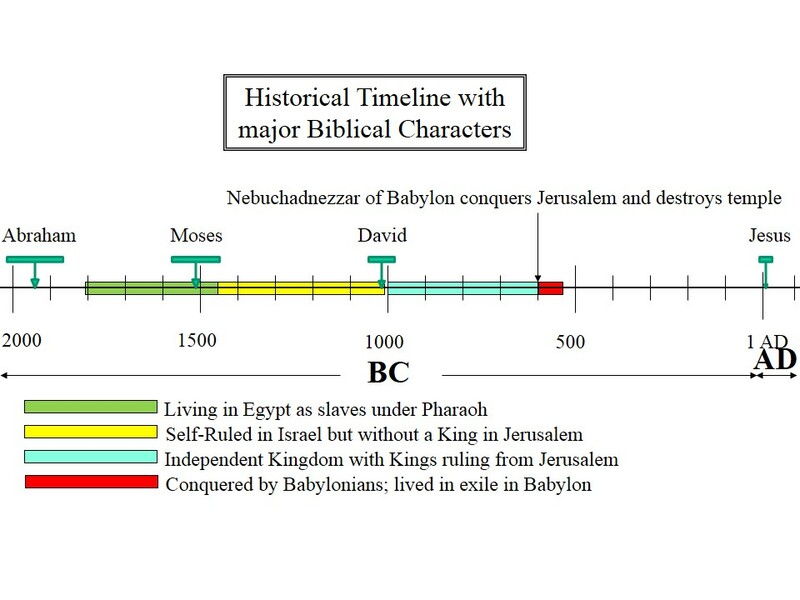 This period started when Joseph, son of Israel (the genealogy was: Abraham -> Isaac -> Israel (also known as Jacob) -> Joseph), led the Israelites to Egypt, where later on they were enslaved. Moses led the Israelites out of Egypt with the Passover Plague, which destroyed Egypt and allowed the Israelite Exodus from Egypt to the land of Israel. 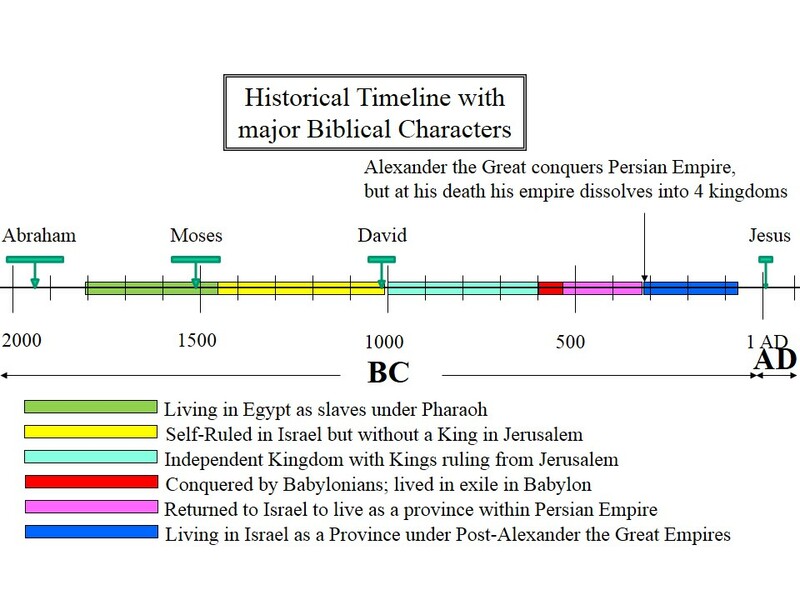 Before he died, Moses announced Blessings and Curses on the Israelites (when the timeline goes from green to yellow). 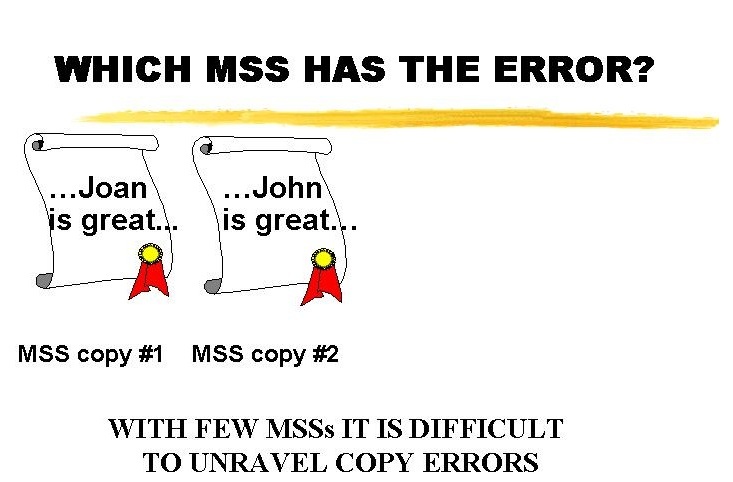 They would be Blessed if they obeyed God, but experience a Curse if they did not. These Blessings & Curses were bound to Israel’s history ever after. 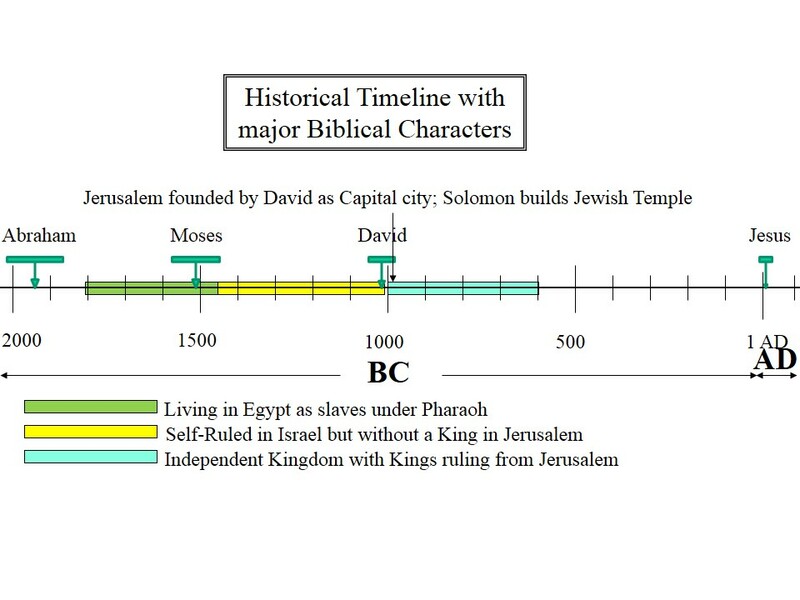 For several hundred years the Israelites lived in their land but they did not have a King, nor did they have the capital city of Jerusalem – it belonged to other people in this time. However, around 1000 BC this changed with King David. David conquered Jerusalem and made it his capital city. He received the promise of a coming ‘Christ’ and from that time on the Jewish people waited for the ‘Christ’ to come. His son Solomon, rich and famous but without satisfaction, succeeded him and Solomon built the First Jewish Temple on Mount Moriah in Jerusalem. The descendants of King David continued to rule for about 400 years and this period is shown in aqua-blue (1000 – 600 BC). This was the period of Israelite glory – they had the promised Blessings. They were a powerful nation; had an advanced society, culture, and their Temple. But the Old Testament also describes their growing corruption and idol worship during this time. Many prophets in this period warned the Israelites that the Curses of Moses would come on them if they did not change. These warnings were ignored. During this time the Israelites divided into two separate kingdoms: the northern Kingdom of Israel or Ephraim, and the southern Kingdom of Judah (like Koreans today, one people split in two countries – North and South Korea). The Jews of Cochin in Kerala are descendants of these exiled Israelites. 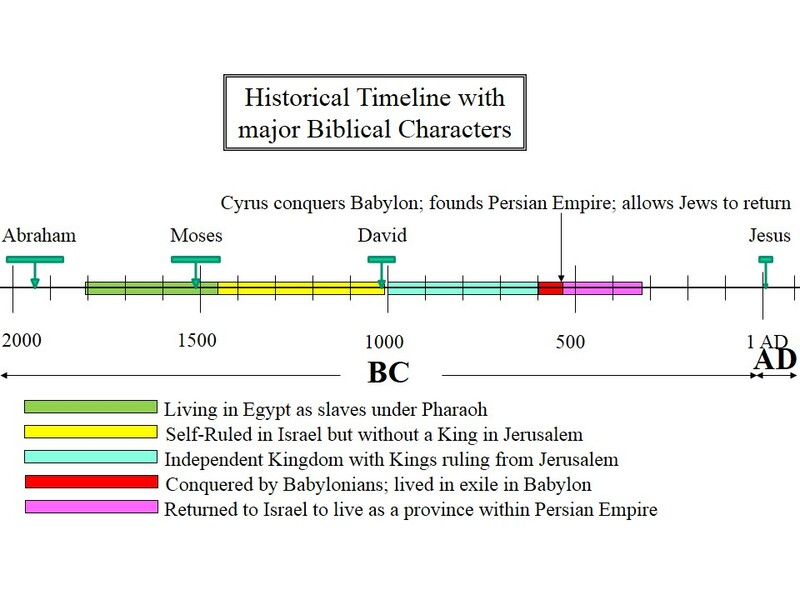 For 70 years, the period shown in red, these Israelites (or Jews as they were now called) were exiled outside the land promised to Abraham and his descendants. After that, the Persian Emperor Cyrus conquered Babylon and Cyrus became the most powerful person in the world. He permitted the Jews to return to their land. However they were no longer an independent country, they were now a province in the Persian Empire. This continued for 200 years and is in pink in the timeline. During this time the Jewish Temple (known as the 2nd Temple) and the city of Jerusalem were rebuilt. Though Jews were allowed to return to Israel, many remained abroad in exile. Alexander the Great conquered the Persian Empire and made Israel a province in the Greek Empire for another 200 years. 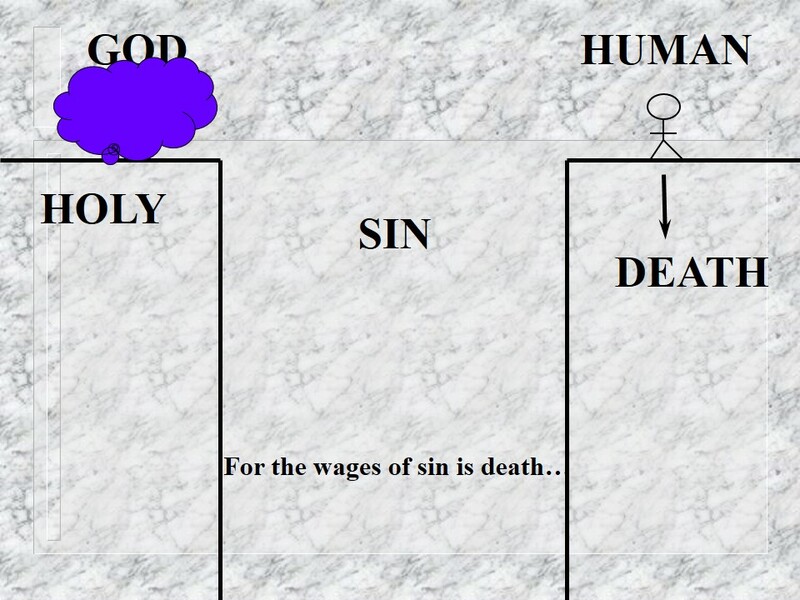 This is shown in dark blue. Then the Romans defeated the Greek Empires and they became the dominant world power. The Jews again became a province in this Empire and it is shown in light yellow. This is the time when Jesus lived. 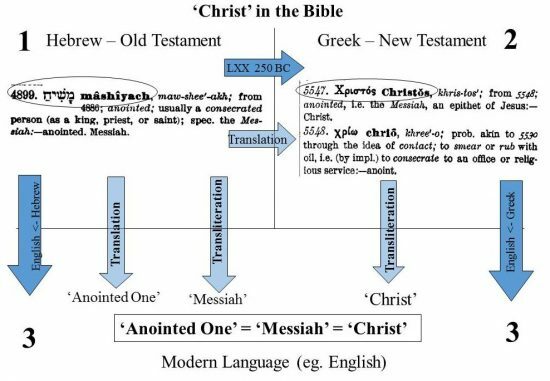 This explains why there are Roman soldiers in the gospels – because the Romans ruled the Jews in the Land of Israel during the life of Jesus. 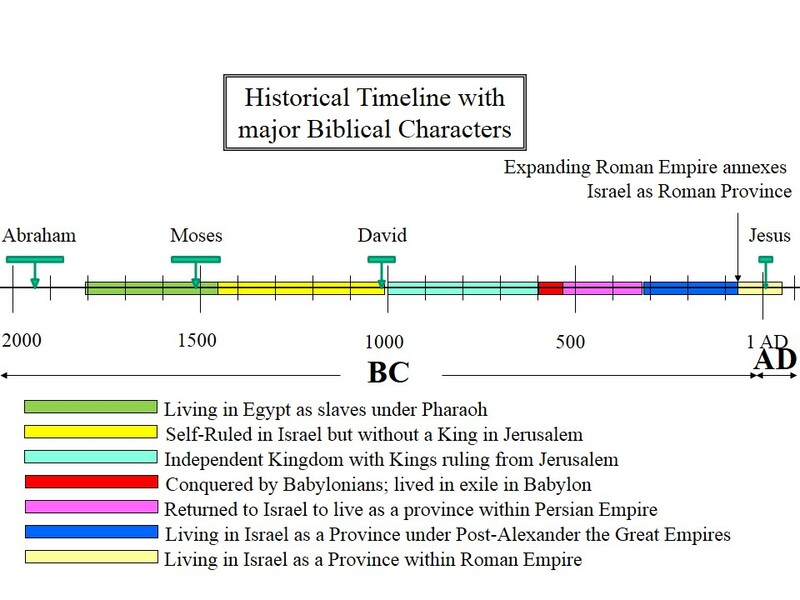 From the time of the Babylonians (586 BC) the Jews had not been independent as they had been under the Kings of David. They were ruled by other Empires, similar to when the British ruled India. The Jews resented this and they revolted against Roman rule. 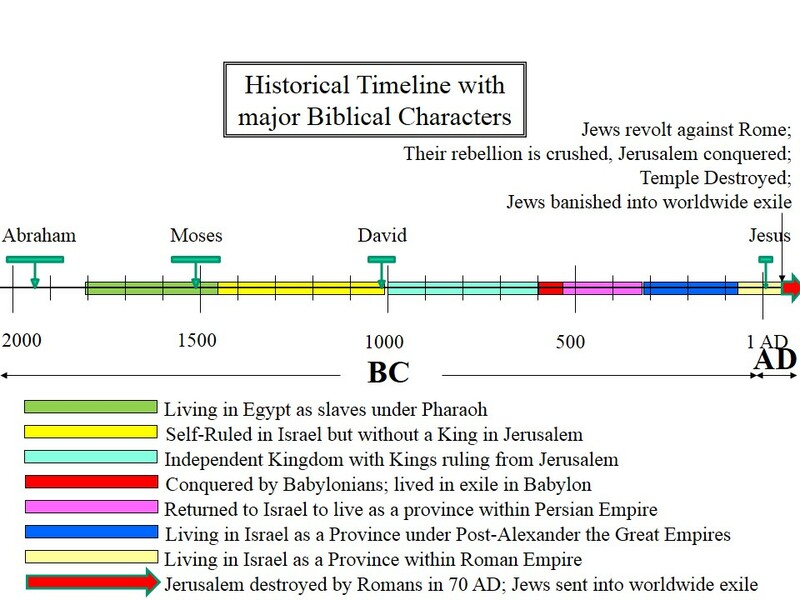 The Romans came and destroyed Jerusalem (70 AD), burned down the 2nd Temple, and deported the Jews as slaves across the Roman Empire. This was the second Jewish exile. 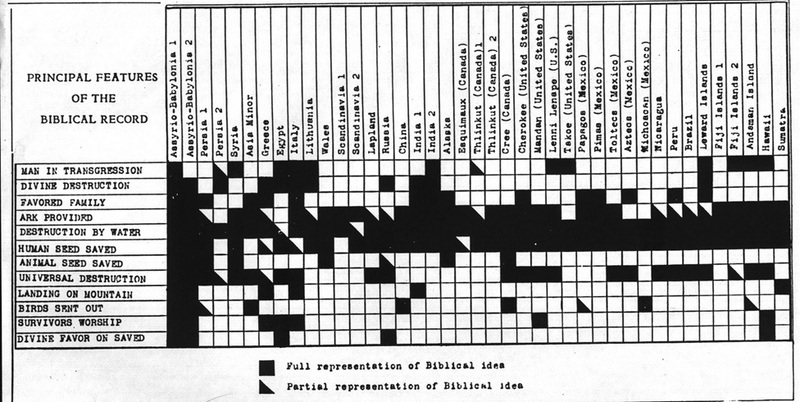 Since Rome was so big the Jews were eventually scattered around the whole world. 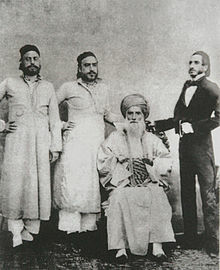 India in the 17th and 18th centuries, and were known as the Baghdadi Jews, settling mostly in Mumbai, Delhi and Calcutta. 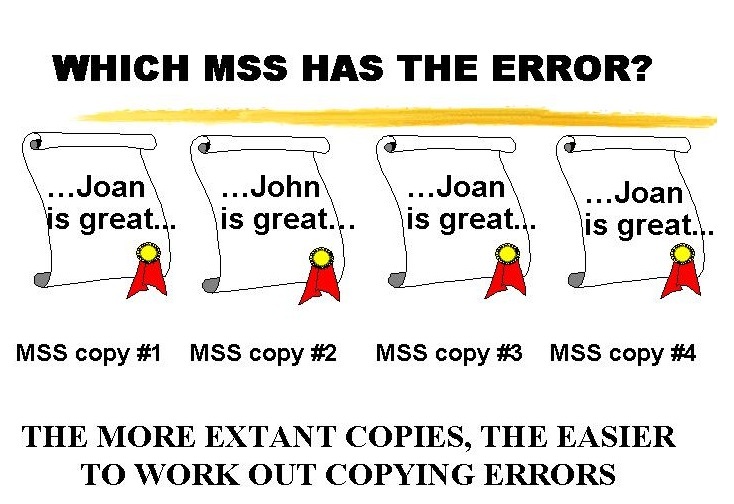 The Curses of Moses back in 1500 BC were accurate descriptions of how they lived. 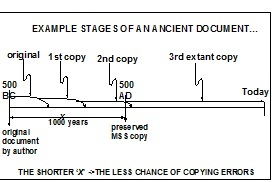 The timeline below shows this 1900 year period. This period is shown in a long red bar. 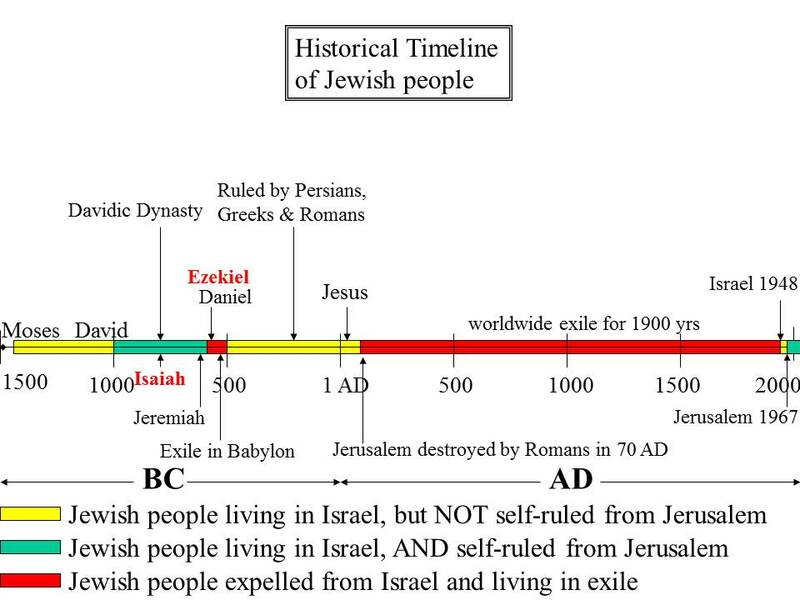 You can see that in their history the Jewish people went through two periods of exile but the second exile was much longer than the first exile. The persecutions against the Jews reached their peak when Hitler, through Nazi Germany, tried to exterminate all the Jews living in Europe. He almost succeeded but he was defeated and a remnant of Jews survived. It was also remarkable since this state was established in spite of great opposition. Most of the surrounding nations waged war against Israel in 1948 … in 1956 … in 1967 and again in 1973. Israel, a very small nation, was sometimes at war with five nations at the same time. Yet not only did Israel survive, but the territories increased. In the war of 1967 the Jews regained Jerusalem, their historic capital city David had founded 3000 years ago. The result of the creation of the state of Israel, and the consequences from these wars has created one of the most difficult political problems of our world today. 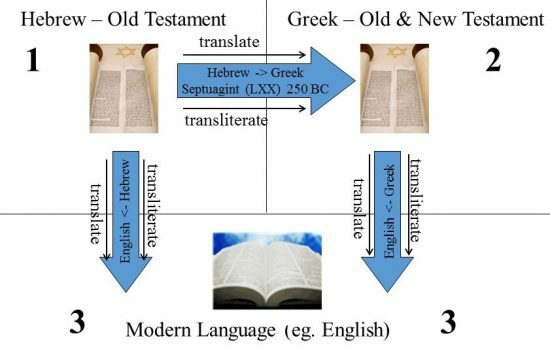 As predicted by Moses and explored more fully here, the re-birth of Israel created an impetus for the different Jews in India to return back to Israel. There are now 80 000 Jews living in Israel who have one parent from India and there are only 5000 Jews left in India. As per Moses’ blessing they are being ‘gathered’ from the most ‘distant lands’ (like Mizoram) and being brought ‘back’. The implications for Jews and non-Jews alike are also highlighted here. 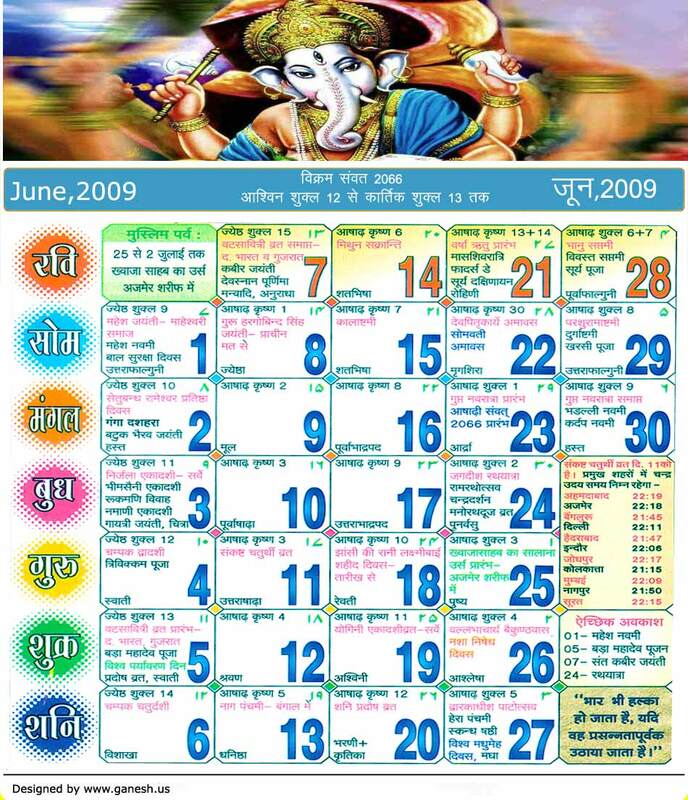 This entry was posted in Common Questions and tagged bible history, exile and re-gathering of Jews, history of jews, history of jews in india, jewish bible history, jewish historical timeline, who are jews on 07/31/2017 by [email protected].